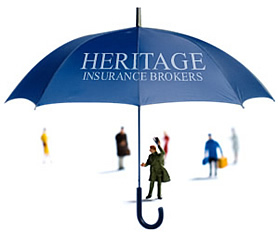 Welcome to Heritage Insurance Brokers based in Wolverhampton, West Midlands. Heritage Insurance Brokers is a well established and reliable brokerage, which has been providing competitive insurance policies throughout the UK since 1981. We offer a friendly and professional service which is efficient and cost effective to our clients. At Heritage Insurance, we are firm believers in providing more than just cheap insurance. We always put our clients first, which has enabled us to build a large and loyal client base. Our aim is to be honest with you and find the best possible insurance to meet your specific needs and requirements. Our insurance policies can be tailor made to suit all types of risks, as every person or business has different requirements. As a broker, we have access to a wide range of insurance companies and specialist schemes, offering reduced rates and catering for standard and non-standard risks. We are here to look after your insurance affairs, arrange how your policy works and handle claims on your behalf. If you have any problems at all, we are here to solve them quickly and efficiently.